My name is Bree. I think that we are going to be great friends. I believe in magic and I love to capture it through my lens. From the small moments that may otherwise get missed, to the look on your partners face when they see you for the first time. Moments & emotions are what inspire me. Whether you are looking for someone to be by your side from the moment you start getting ready until you bust out your signature moves on the dance floor, or if you are looking for something a little less comprehensive, I have packages that can work for whatever your heart desires! I can’t wait to be a part of your day. Travel fees apply for weddings outside of Calgary at a rate of $0.55/km. 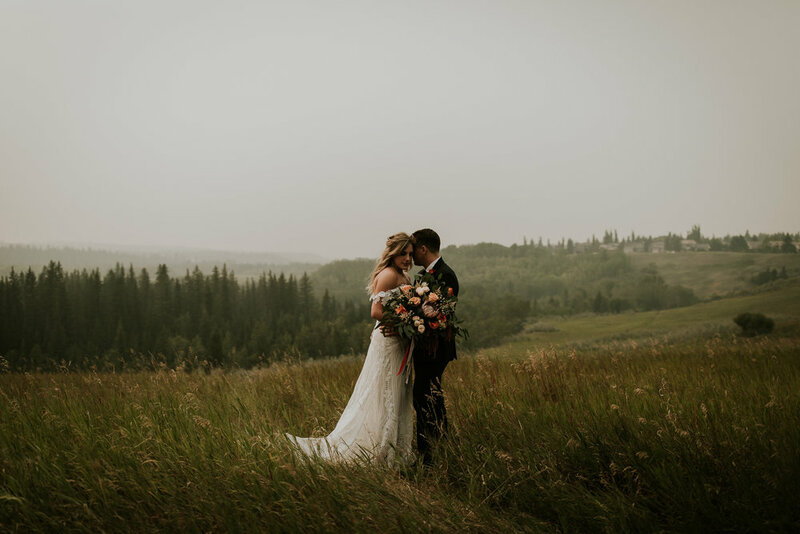 Accommodations are typically required for weddings outside of Calgary but are assessed on a case-by-case basis. Payment plans are available & I accept all major credit cards. 3% discount incentive for payments by e-transfer. I want to make your day as amazing as possible. That means offering a few additional options. If there is something you don’t see here that you are curious about, just ask! Videography - I work closely with an amazing videographer and we offer custom packages. Inquire for more information! Intimate weddings (under 15 guests) and elopements are my passion. I love being able to get to know your friends & family just as intimately as I am getting to know you. Being able to witness and capture your authentic relationships & photographing your genuine interactions and conversations with the people you love can’t be beat. Elopement pricing starts at $1200 +GST for 2 hours of coverage. Includes personal assistance with location scouting, timeline, vendor recommendations etc. Most couples book 4 hours of coverage so I can cover some of the getting ready portion of the day, the ceremony, family photos (if required), and an adventurous portrait session during magic hour.